cities, places, settlements, and place names associated with the region called KARPATALJA also known as PODKARPATSKA RUS, RUTHENIA, SUBCARPATHIA, SUBCARPATHIAN RUS, TRANSCARPATHIA, ZAKARPATSKA, and ZAKARPATTYA. 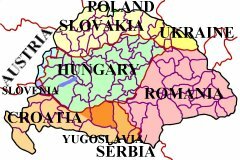 Prior to the breakup of the Austro-Hungarian Empire in 1918, these placenames could be found in Bereg megye, Maramaros megye, Ugocsa megye, and Ung megye, all counties situated within the old Kingdom of Hungary and now located in Zakarpatska Oblast, Ukraine. --Placenames found listed more than once indicate that there were more than one place with that name. 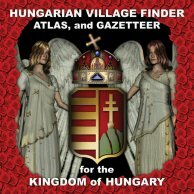 --While the place names in the following table have had all accents and special letters removed for simplication in web site searching, the HVF... software program offers several methods of researching place names including with or without the proper accents. (Hint) Learning and using the proper spelling of place names, including the use of special letters or letters with accents, can be key to your success in searching the internet for websites related to the place of interest.